In September 1831, the Prophet Joseph Smith and his family moved 30 miles southeast of Kirtland to Hiram, Ohio, where they lived for about a year in the home of John and Alice (also known as Elsa) Johnson. In this home, the Prophet did much of his work on the Joseph Smith Translation of the Bible. This important work, which the Prophet called a “branch of my calling,”1 contributes significantly to our understanding of the plan of salvation. The Prophet began this work in June 1830 when the Lord commanded him to begin making an inspired revision of the King James Version of the Bible. The Prophet had long known that the Bible was not always clear on some important matters. 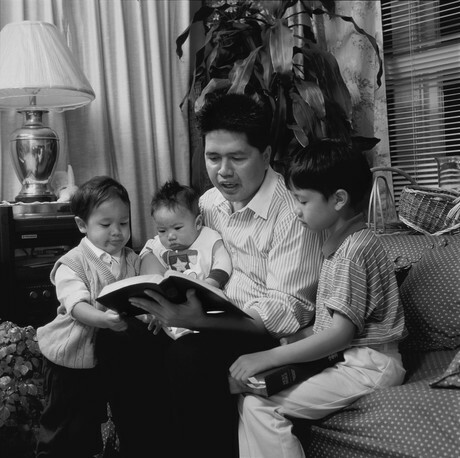 He had noted that Moroni quoted some biblical passages to him “with a little variation from the way [they read] in our Bibles” (Joseph Smith—History 1:36). While translating 1 Nephi 13:23–29, he learned that many “parts which are plain and most precious” had been taken out of the Bible, including “many covenants of the Lord” (1 Nephi 13:26). As guided by the Spirit, Joseph spent about three years going through the Bible, making thousands of corrections to the text and restoring information that had been lost. This restored information sheds marvelous light on many doctrines that are not clearly presented in the Bible as it exists today. These inspired revisions to the text of the Bible are known as the Joseph Smith Translation of the Bible. Hundreds of passages from the Joseph Smith Translation are now included in the Latter-day Saint edition of the King James Version of the Bible. The Prophet’s translation of the Bible was an important part of his own spiritual education and the unfolding restoration of gospel truth. As he revised the Old and New Testaments, he often received revelations clarifying or expanding upon biblical passages. In this way, the Prophet received many doctrines from the Lord, including those now found in Doctrine and Covenants 74, 76, 77, 86, and 91, and in portions of many other sections of the Doctrine and Covenants. “And the Lord God spake unto Moses, saying: … For behold, this is my work and my glory—to bring to pass the immortality and eternal life of man” (Moses 1:37, 39). In the premortal world, Jesus Christ was chosen to be the Savior, and we chose to accept the plan of salvation. “The salvation of Jesus Christ was wrought out for all men, in order to triumph over the devil. … All will suffer until they obey Christ himself. We are eternal beings; we can advance toward exaltation as we obey the laws of God. “… I take my ring from my finger and liken it unto the mind of man—the immortal part, because it had no beginning. Suppose you cut it in two; then it has a beginning and an end; but join it again, and it continues one eternal round. So with the spirit of man. As the Lord liveth, if it had a beginning, it will have an end. All the fools and learned and wise men from the beginning of creation, who say that the spirit of man had a beginning, prove that it must have an end; and if that doctrine is true, then the doctrine of annihilation would be true. But if I am right, I might with boldness proclaim from the house-tops that God never had the power to create the spirit of man at all. God himself could not create himself. “Intelligence is eternal and exists upon a self-existent principle. It is a spirit from age to age and there is no creation about it. All the minds and spirits that God ever sent into the world are susceptible of enlargement. We came to earth to obtain a body, to gain knowledge, and to overcome through faith. “The principle of knowledge is the principle of salvation. This principle can be comprehended by the faithful and diligent; and every one that does not obtain knowledge sufficient to be saved will be condemned. The principle of salvation is given us through the knowledge of Jesus Christ. “Salvation is nothing more nor less than to triumph over all our enemies and put them under our feet. And when we have power to put all enemies under our feet in this world, and a knowledge to triumph over all evil spirits in the world to come, then we are saved, as in the case of Jesus, who was to reign until He had put all enemies under His feet, and the last enemy was death [see 1 Corinthians 15:25–26]. “Perhaps there are principles here that few men have thought of. No person can have this salvation except through a tabernacle. God has given us moral agency and the power to choose good over evil. What are some specific truths about the plan of salvation and the purpose of life that we know because of revelations to the Prophet Joseph Smith? How have these truths helped you? Joseph Smith taught that the plan of salvation is “a subject we ought to study more than any other” (page 211) and “a theme which ought to occupy our strict attention” (page 208). In what ways can we study the plan of salvation? As we go about our daily activities, what can we do to give the plan of salvation our strict attention? What are some ways we can teach the plan of salvation to others? 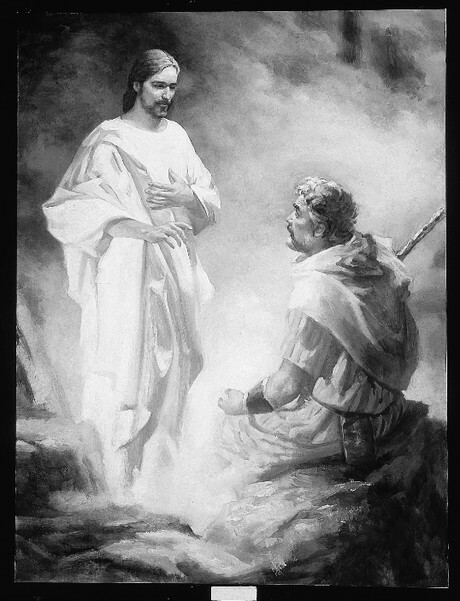 Review Joseph Smith’s teachings about the Council in Heaven and about our eternal nature (pages 209–11). How might knowing of these doctrines be a blessing to you in your life on earth? The Prophet Joseph testified, “All the minds and spirits that God ever sent into the world are susceptible of enlargement” (page 210). What do you think this means? How might this truth influence the way you face challenges? the way you feel about your own worth and capabilities? the way you treat other people? Review Joseph Smith’s teachings about the significance of having a physical body (pages 211–13). How might this knowledge affect the way we care for our bodies? Read the last paragraph on page 213 and the first paragraph on page 214. Think about what these teachings mean to you as you exercise your agency. What are some specific things we can do to resist Satan’s influence? History of the Church, 1:238; from “History of the Church” (manuscript), book A-1, p. 175, Church Archives, The Church of Jesus Christ of Latter-day Saints, Salt Lake City, Utah. History of the Church, 6:57–58; paragraph divisions altered; from a discourse given by Joseph Smith on Oct. 15, 1843, in Nauvoo, Illinois; reported by Willard Richards; see also appendix, page 562, item 3. History of the Church, 1:98; from “History of the Church” (manuscript), book A-1, miscellaneous papers, Church Archives. History of the Church, 2:23; from “The Elders of the Church in Kirtland, to Their Brethren Abroad,” Jan. 22, 1834, published in Evening and Morning Star, Apr. 1834, p. 152. Quoted by William Clayton, reporting an undated discourse given by Joseph Smith in Nauvoo, Illinois; in L. John Nuttall, “Extracts from William Clayton’s Private Book,” p. 7, Journals of L. John Nuttall, 1857–1904, L. Tom Perry Special Collections, Brigham Young University, Provo, Utah; copy in Church Archives. “Baptism,” an editorial published in Times and Seasons, Sept. 1, 1842, p. 905; spelling and capitalization modernized; Joseph Smith was the editor of the periodical. History of the Church, 6:314; from a discourse given by Joseph Smith on Apr. 7, 1844, in Nauvoo, Illinois; reported by Wilford Woodruff, Willard Richards, Thomas Bullock, and William Clayton. History of the Church, 6:310–12; capitalization modernized; from a discourse given by Joseph Smith on Apr. 7, 1844, in Nauvoo, Illinois; reported by Wilford Woodruff, Willard Richards, Thomas Bullock, and William Clayton; see also appendix, page 562, item 3. History of the Church, 2:8; from “The Elders of the Church in Kirtland, to Their Brethren Abroad,” Jan. 22, 1834, published in Evening and Morning Star, Feb. 1834, p. 135. History of the Church, 6:50; from a discourse given by Joseph Smith on Oct. 9, 1843, in Nauvoo, Illinois; reported by Willard Richards and Times and Seasons, Sept. 15, 1843, p. 331; this issue of the Times and Seasons was published late. Quoted by Martha Jane Knowlton Coray, reporting a discourse given by Joseph Smith on May 21, 1843, in Nauvoo, Illinois; Martha Jane Knowlton Coray, Notebook, Church Archives. Quoted by William Clayton, reporting an undated discourse given by Joseph Smith in Nauvoo, Illinois; in L. John Nuttall, “Extracts from William Clayton’s Private Book,” pp. 7–8, Journals of L. John Nuttall, 1857–1904, L. Tom Perry Special Collections, Brigham Young University, Provo, Utah; copy in Church Archives. History of the Church, 5:403; from a discourse given by Joseph Smith on May 21, 1843, in Nauvoo, Illinois; reported by Willard Richards; see also appendix, page 562, item 3. History of the Church, 5:387–88; from a discourse given by Joseph Smith on May 14, 1843, in Yelrome, Illinois; reported by Wilford Woodruff; see also appendix, page 562, item 3. History of the Church, 6:50–51; paragraph divisions altered; from a discourse given by Joseph Smith on Oct. 9, 1843, in Nauvoo, Illinois; reported by Willard Richards and Times and Seasons, Sept. 15, 1843, p. 331; this issue of the Times and Seasons was published late; see page 562, item 3. History of the Church, 4:45, footnote; from a letter from the First Presidency and high council to the Saints living west of Kirtland, Ohio, Dec. 8, 1839, Commerce, Illinois, published in Times and Seasons, Dec. 1839, p. 29. History of the Church, 4:358; bracketed words in original; paragraph divisions altered; from a discourse given by Joseph Smith on May 16, 1841, in Nauvoo, Illinois; reported by Times and Seasons, June 1, 1841, p. 429. History of the Church, 4:605; punctuation modernized; from a discourse given by Joseph Smith on Apr. 28, 1842, in Nauvoo, Illinois; reported by Eliza R. Snow.